Begin by speaking to Islwyn in the Isafdar Woods, after searching a campfire. 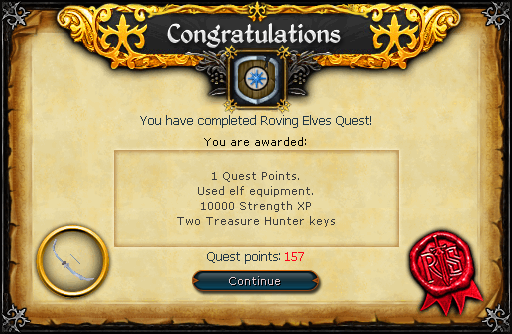 Firstly, head to the extinguished campfire near Priffddinas and search it. You'll notice that it was extinguished a short while ago and now you must look for the people. 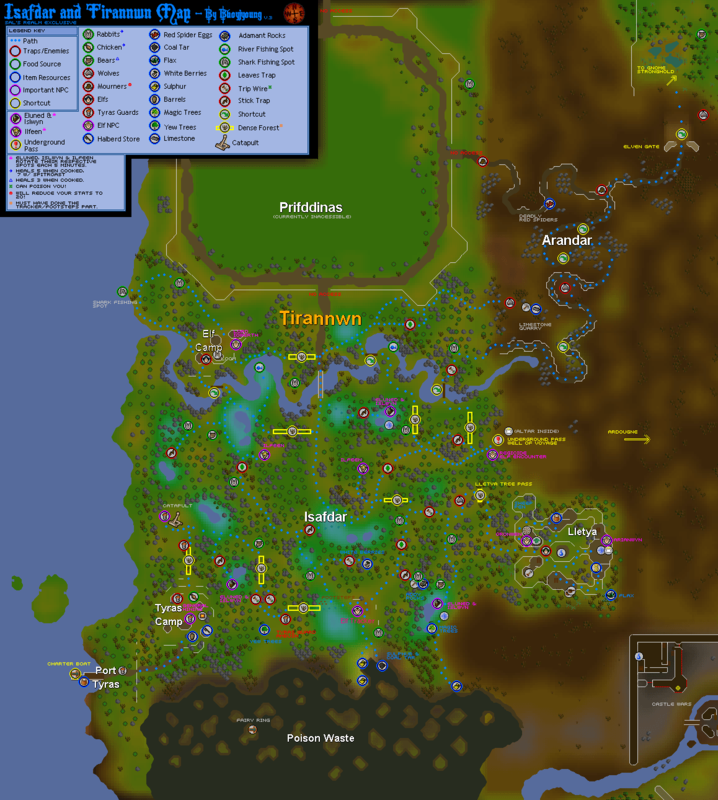 Now find one of the Roving Elves' spots indicated on the Map of Isafdar. If there isn't an Elf there, you must wait for him to show up, as they will rotate to each place every 5 minutes or so. When the Elves appear, speak to Islwyn. He dislikes humans because his grandmother's grave was opened by one of them. Tell him the truth: that you opened it, and he will tell you that the tomb now needs to be consecrated. Now speak to Eluned, and she will talk about the Tomb Guardians which you must defeat to obtain the Consecration Seed. Head to Ardougne and store all of your weapons, armor, Runes, Arrows, and any other means of protection in the bank. This is because you must be unarmed in order to enter Glarial's Tomb. Bring some food as well as Glarial's Pebble. If you don't have the pebble, you can get it from under the Tree Gnome Village in the dungeon (check the Waterfall Quest guide for more info). Prayer does not work in Glarial's Tomb. 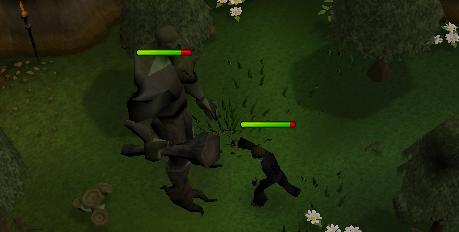 Use the pebble on her tomb which is northwest of Ardougne (between the Fishing Guild and Baxtorian Falls) and you'll see a level 88 Moss Giant. The simplest way to kill the giant is to use momentum and then attack it. Do not use any abilities. If you are struggling to kill the Moss Giant, you could try killing the zombies and skeletons until they drop a weapon. This could be time consuming, though. Once the Moss Giant is dead, you should have a Consecration Seed . If you want, you can get any needed supplies for the long forest trip. Bring the seed back to Eluned in the forest and she will enchant it. Oddly enough, she moves her lips, but there is no sound coming from them while she enchants it. Now go to the Baxtorian Falls which is behind Almera's house, northwest of the Fishing Guild. Bring a Rope, your Glarial Amulet (from Glarial's Tomb chest), a spade, and the enchanted Consecration Seed. Climb onto the raft behind Almera's house, and then use a rope with the rock to swim across. Then use it on the nearby tree to climb down onto the ledge, and then enter the tomb while you are either wearing Glarial's Amulet or it is in your inventory. Head to the path to the east, past the level 66 Shadow Spiders, and then enter the room where you'll find some level 28 Skeleton Mages and level 84 Skeletons. Search the crates for a key, and then go into the room to the west. Unlock the doors past the level 116 Fire Giants and into the room with the Chalice of Eternity. Plant the seed near the Chalice and it will grow into a Crystal Tree! Exit the tomb and then climb into the Barrel near the door. Head back to the Elves and tell Islwyn what has happened. Quest Complete! The Crystal Shield has the best Ranged Defence in the game, while the Bow is the strongest in the game and doesn't require arrows. You need 70 Defence to use the Shield, 70 Ranged to use the Bow, and 50 Agility to use them. Each of them has 2,500 Charges. After the Evolution of Combat update, crystal equipment does not become less effective with use. Once all of it's charges are used up, it will revert to Seed and must be recharged at the cost of 900,000-180,000gp. The price decreases each time you have it charged up (starting at 900,000 and ending at 180,000). The elf that recharges the equipment can be found near the first leaf trap in the forest, and he also changes position from time to time.